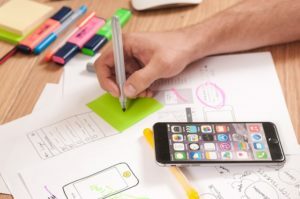 Here are a few things you need to know about iPhone app development in order to have a successful mobile app that will cater to all your clients. As a real estate agent, whose listings will consistently be changing, this shouldn’t be an issue. However, in sections that could become ever-green, such as your bio or any special offers, be sure to update the content when/if things change. Additionally, you’ll need to continuously keep your mobile app updated and fix any bugs that users may encounter. According to Infinite Monkey, “Too much content can hurt your brand. Although consistent updates keep users coming back for more, you don’t want to bog them down with more material than they can handle.” An app that has too many bells and whistles is liable to be “glitchy.” Your mobile app development company should discuss with you the best functions for your app and which ones will keep you from having to provide bug fixes every other week. Most everyone uses (or knows how to use) at least one smart device, from your snail mail-using grandparent to the tech savvy college millennial. If you want your app to be used by a wide variety of buyers searching for their next homes, you’ll want to provide an app that the least tech savvy of the bunch can still use. These particular features may be out of your hands. Although, many mobile app developers will likely ask you if there’s a particular design you had in mind for your app. Now, unless the app developer uses pre-made templates that can be customized, try to make sure you have examples of what you want handy. This entry was posted in iphone app development, iphone app development company, mobile app developer and tagged iphone app development, iphone app development company, mobile app developer. Bookmark the permalink.